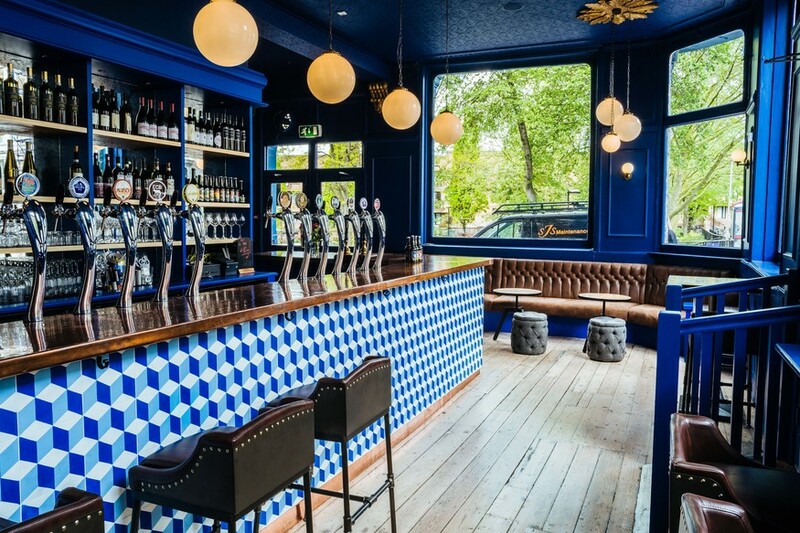 We were big fans of the first outpost for The Italian Job, a small, blue-tiled nook on a sleek Chiswick side street. It teetered between English pub and Italian osteria territory, with the weight on the Mediterranean half of its heritage — an entirely Italian line-up of craft beer on tap, and a food menu of cichetti, Italian mains and the occasional splash of Americana. Fast forward a couple of packed-out years and (along with a stand at Mercato Metropolitano in south London) there's a bricks-and-mortar sibling venue in Notting Hill. Welcome return, or difficult second album? Some more of a good thing, or Speed 2: Cruise Control? On arrival at the Notting Hill outpost it looks like the very winning formula has changed. The mood is tipped in favour of English pub now, with a food menu heavier on pub standards than Italian bites — boasting more burgers and cheesy fries, onion rings and chicken wings than it used to. The beer list's not exclusively Italian, and the prices are very Notting Hill. But scratch the surface and it's still green-white-and-red underneath. This has gone from feeling like an Italian-themed pub in London to something far nearer an actual Italian bar: Americana jostling with aubergine parmigiana on the menu, the (long, seductively niche) beer list sourced from a mix of Italian breweries and international allstarz. The burgers come heavy with Italian embellishments: gorgonzola replacing American cheese in some, lettuce swapped out for radicchio in others. Our Italian Parmigiana burger does what it says on the label, a slab of aubergine parmigiana laid over the beef, giving it a sauce-dripping hint of meatball sub about it. It's a powerhouse of a burger, with the double slap of parmesan's saltiness and the deep sweetness of the baked tomatoes. And it makes sense of the way they've chosen toasted ciabatta over brioche bun for this one — by the time you add in the scamorza and rocket on top of that, you've got a huge, messy stack no brioche is going to keep in check. The Kiss Me Lipsia, a sharp gose from Parmese brewery Birrificio del Ducato, makes a good stab at cutting through that richness. And for gose-refuseniks, the beer list's as broad and enticing as it ever was — albeit less single-origin. The Italian Job's earlier menus were great, and we do miss those arancino days and risotto nights a bit. But the arrival of these generous, Italian-slanted and pitch-perfect burgers is doing an excellent job of consoling us. Not as overtly Italian as it used to be. Still buonissimo. The Italian Job, 45 All Saints Road, W11 1HE. Sister venues in Chiswick and Mercato Metropolitano in Elephant & Castle.